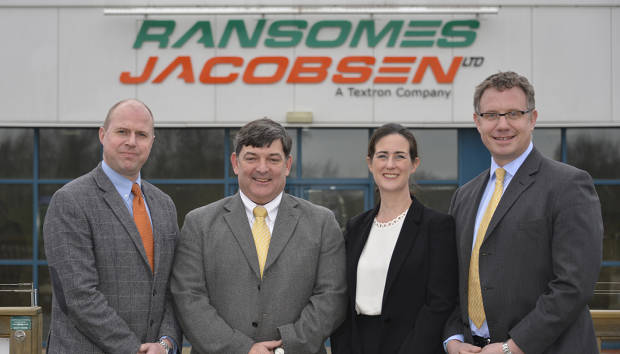 Gina Putnam, Ransomes Jacobsen’s former Director – Marketing and Communications, International has returned to the USA to manage Jacobsen’s new direct distribution facility serving customers in North & Central Florida. In her new role, Gina will be managing a team of staff who will be providing a complete range of dealer services to golf courses and sports fields including such notable customers as Plantation Bay Country Club in Ormond Beach, and Daytona International Speedway. Karen Proctor, joins the Marketing Department as Marketing and Communications Manager – International, from her previous role as Key Account Manager in the Sales team, where she will lead the marketing team to deliver a fully integrated marketing communications strategy across Europe, Middle East, Africa, APAC and Latin America. She will report to Ransomes Jacobsen Managing Director, Alan Prickett. Nick Brown is moving to the new role of Manager, Corporate Accounts – EMEA, to continue the management and development of relationships with key customers. This role includes responsibility for the E-Z-GO and Cushman brands within the UK. Will Carr becomes Golf Sales Manager – UK & Ireland, promoting Jacobsen and Iseki to the golf market with the emphasis of driving dealer relationships and promoting Jacobsen throughout the UK. John Quinton returns to the Sales Team from the Customer Care department, taking up the position of Municipal Sales Manager – UK & Ireland. He will be responsible for the Ransomes product sales into the municipal and landscape contractor markets. “Gina has done a tremendous job for our business, both here in the UK and in the international market, since she joined us from Bernhard Grinders in 2011. She leaves us with our very best wishes as she continues her career within the Jacobsen organisation. “Karen brings with her a wealth of experience in the golf industry having joined us almost two years ago from Carden Park, where she was Director of Golf. Karen has shown herself to be a strong leader and the work she has done in her previous Key Account role gives her visibility and insight into how we can better promote and support our business.